Exemplary warmth, style, and extraordinary looks — our latest creation and a copy of Blade Runner 2049 Ryan Gosling fur coat have it all. Smooth yet tough, this good-looking coat is produced using Buffalo skin that has been drum colored to give a tough and rough look as it is on Ryan Gosling movie. The Ryan Gosling Trench coat is made from leather with shearling inside collars and lapels just as seen in pictures with side pockets, Ryan Gosling Blade Runner coat will be the biggest hit of October 2017 but you have the chance to buy now before anyone else. Ryan Gosling Jacket is made in 3 different stages and the hard working is also appreciated by our valued clients, So buy online now from americasuits.com. 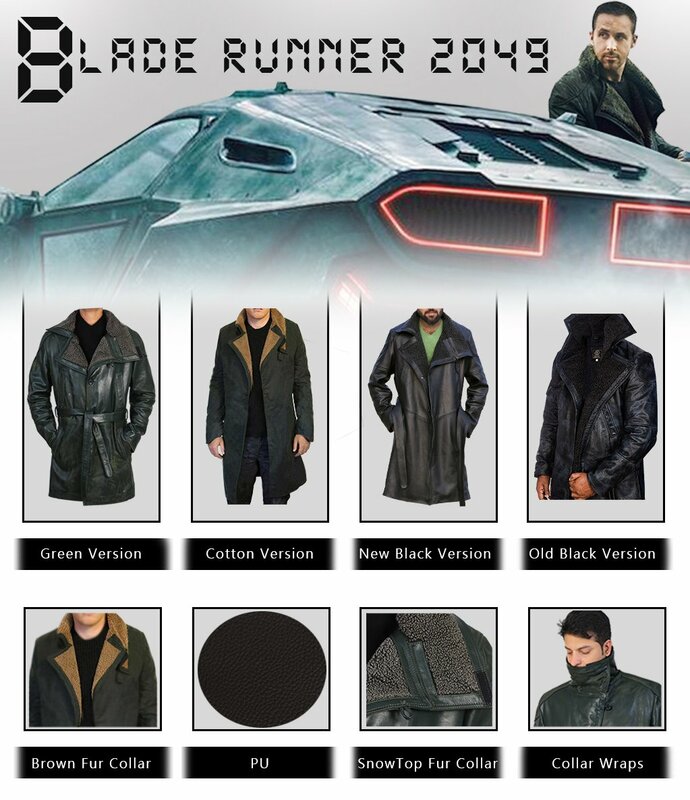 The movie is coming soon and you do not want to see the without Blade Runner coat and you will need to change your hairstyle and look like Ryan Gosling and wear this movie coat while watching. This trench coat is heavy with grayish waxed on it brings the rough and tough looks of the jacket and you will be amazed at the quality of the coat The Ryan Gosling Blade runner coat is a heavy duty coat and the Faux Shearling inside makes it's really cool and tough. Buy this Blade runner 2049 coat now.